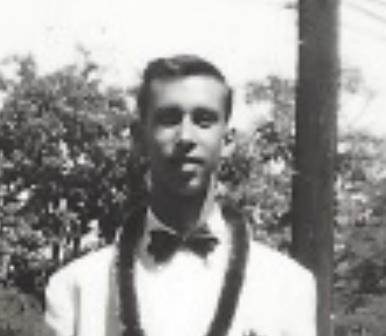 Mystery Photo: Who is the Young Man Possibly from Hawaii? I’ve got another photo mystery for you this week. This comes from the collection of a Bonita and de Braga cousin. 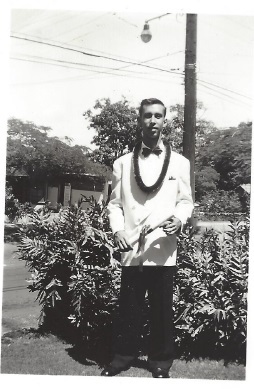 The photo is of an unknown young man all dress up and ready to go. Perhaps it is prom night or some other special occasion? 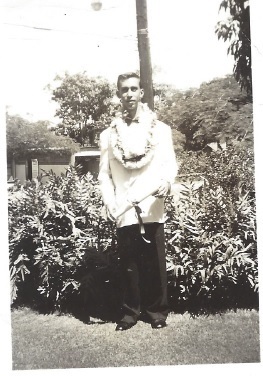 Is this unknown young man from the Braga family of Honolulu and Monterey County, California? I have no idea who this is. 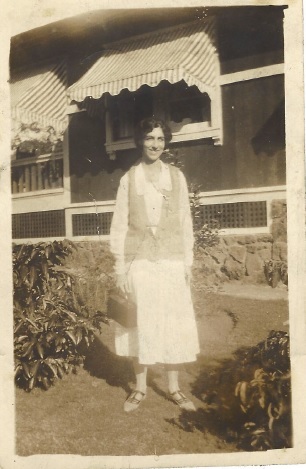 However, I think the photo might have been taken in Hawaii (I have nothing to base that on, by the way. It just doesn’t look like California.) My instincts tell me that he might be a de Braga, one of our Thom, Paul, Freitas Mendes, or Braga cousins. I’ve enlarged this photo for better clarity. If he is a de Braga, he might be the brother or cousin of Gloria (de Braga) Thom. She is the daughter of my great great uncle and aunt, Serafin de Braga and Olympia Medeiros, who resided in Honolulu, Hawaii. Do you recognize the young man? Can you shed light on who he is and what family he belongs to?